Kuala Lumpur, which means “muddy estuary” in Malay, was at its inception a small, sluggish, laidback Chinese tin-mining township. Today, it has advanced into a lively metropolitan city, in terms of economy and property sales, that houses about 6.5 million people. 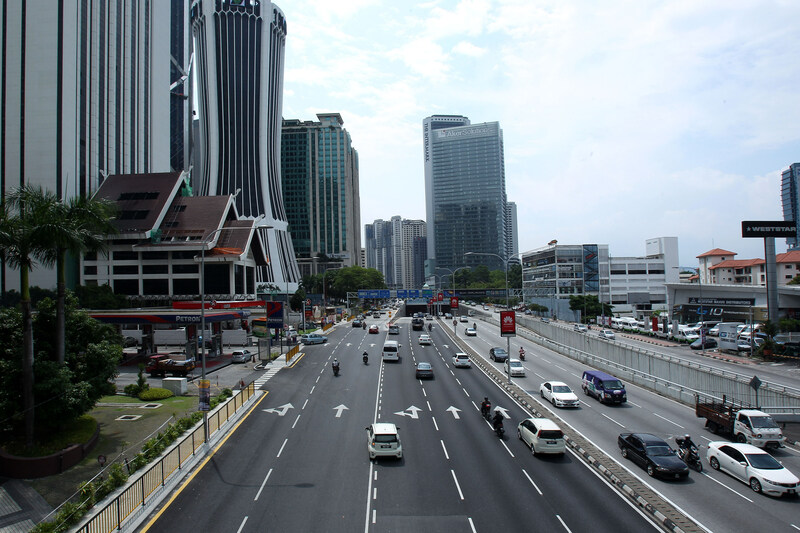 Administered by the KL City Hall, the city is a Federal Territory of Malaysia and it is made up of a central city centre and business district and its surrounding urbanised areas. Coupling with surrounding satellite cities in Selangor like Petaling Jaya, Klang, Subang Jaya, Shah Alam and Ampang to name just a few, Kuala Lumpur forms a greater metropolis known as Greater Kuala Lumpur, or more generally, Klang Valley. Therefore it goes without saying that property values in the area have escalated at a fast pace in recent years. Kuala Lumpur is characterised as a dense city – its residential properties lie amidst awe-provoking skyscrapers, well-constructed highways, trendy nightlife, historic colonial architecture and widespread greenery. There is much to do and falling into spells of boredom is never an issue in Kuala Lumpur. The PETRONAS Twin Towers in particular are a city folk paradise. Home to Suria KLCC, among Southeast Asia’s biggest shopping malls, they feature a collection of the world’s top brands and multiple unique, locally-inspired markets that offer a range of novelties. The towers also provide a heart-stirring skyline experience with the Skybridge that lies between the two structures. Alternative shopping outlets include Midvalley Megamall, Bangsar Shopping Centre and the more recently-developed Pavilion KL, Fahrenheit and Starhill shopping destinations. Other crucial aspects of the city are the mosques and temples that are uniquely designed and serve as symbols of the country’s Malay, Chinese and Indian cultures and influences. With a flourishing economy and invigorating contemporary art and design scenes, Kuala Lumpur still manages to maintain a well of tradition and culture. Food is another major essence of the city, and this melting-pot of cultures provides a broad spectrum of Asian culinary dishes. Notably Chinatown, which tenders local delicacies like assam laksa, chicken rice and much more, and Jalan Alor, that not only serves authentic local dishes but offers Thai and Vietnamese cuisines as well, are not to be missed. Kuala Lumpur’s nightlife is especially one to rave about. Numerous bars, clubs and classy rooftop destinations can be stumbled upon as you make your way around the city. From rows of stylish, boutique and glittering bars on Changkat Bukit Bintang to Bangsar’s high-end cocktail bars, excitement never ceases in the city. Being a vibrant city the roads in Kuala Lumpur can indeed get fairly packed. Rush hour jams can sometimes drive the most patient driver up the wall. However, with public transportation services like taxis, buses and train systems at your disposal, navigating the city on foot is very possible. In addition complementing the LRT and Monorail train networks will be a new mass rapid transit (MRT) system, currently being built all across the city. Once finished, this will help to alleviate the major traffic bottle-necks.